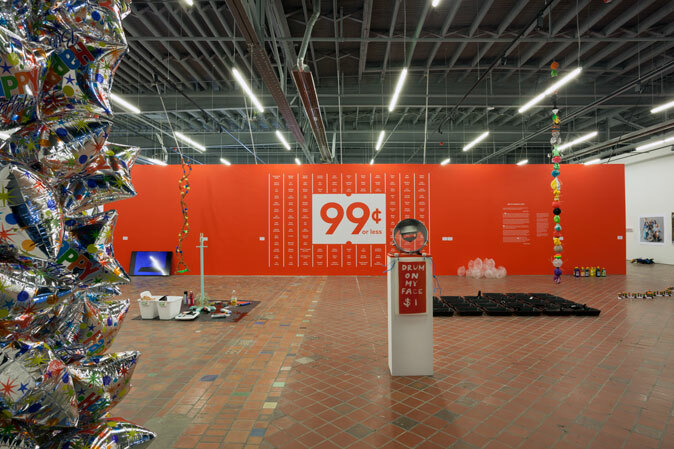 Dollar store materials and art collide at the Museum of Contemporary Art in Detroit (MOCAD) in the newest exhibit”99 Cents or Less.” The museum invited artists to create works made from items purchased at dollar stores. The New York Times featured the exhibit in an article aptly titled, “Riches of the Dollar Store.” More than 100 artists from across the country participated. Motown artist Scott Hocking, known for using decayed objects in his exhibits, strung together old empty shopping carts. Another exhibit featured candles. Kudos to curator Jens Hoffman and the Leadership Circle of MOCAD. Not only will your next dollar store experience be filled with bargains, it will also be artful.